Agalima was created with a few things in mind: making an authentic product using only fresh organic ingredients, the history of classic cocktails from the world over and the stories we have unearthed as cocktail lovers and innovators. From the recipes that evolved over generations, to the soil and climate where each drink originated, to the glass you’re holding in your hand, every cocktail tells a story. With Agalima, we bring those stories to life with products that connect you to the freshest and most authentic organic ingredients. Every cocktail you drink comes from an archive of classic recipes, some of which are hundreds of years old with mythologies growing and changing through generations of cocktail connoisseurs. 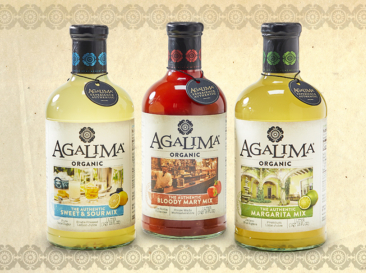 When creating Agalima, we looked into the origins of these recipes. Premium spirits, bright citrus, distilled and fresh herbs and spices—all of these things come together to create the perfectly balanced beverage. Whether you are recreating the rituals of old or developing a tradition of your own, tell your story with Agalima.